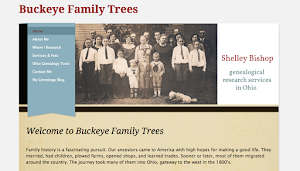 My grandfather, Frederick C. Herrel, grew up in the shadow of one Great War and spent his 20s in the midst of a second. Born May 20, 1914, to parents Harry and Mabel (Seeley) Herrel, he looked every bit the little soldier in a family portrait taken in Columbus, Ohio, about 1920 (although I’d like to know the story behind that haircut!). 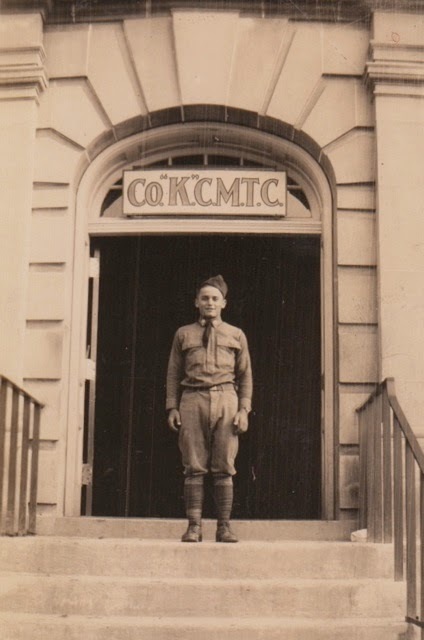 As a high school student between the wars, in the summers of 1930 and 1931, Fred attended Citizen’s Military Training Camp (CMTC) at Fort Knox, Kentucky. 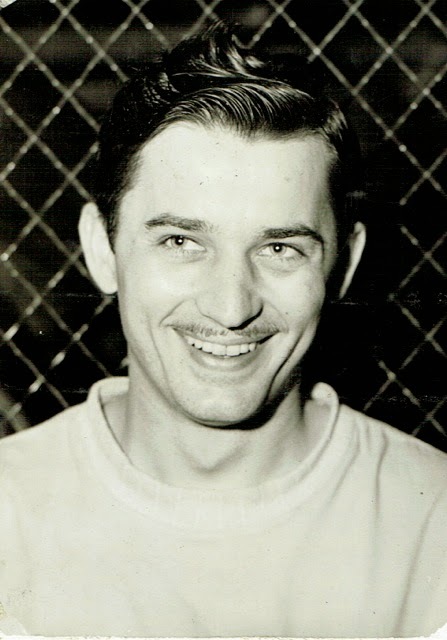 At Fort Knox, he and the other CMTC boys drilled, trained, and lived like soldiers. He pasted photos of Fort Knox in his scrapbook, along with pictures of his sweetheart, Wilma Steele. After they married in 1935, the mechanically-minded Fred found employment at Curtiss-Wright, which had a production plant on the east side of Columbus. Fred was 27 years old when the Japanese bombed Pearl Harbor. His country needed men, and he already had some training. But unlike most in his generation, he never enlisted in the Army or Navy. Why? That’s a question future generations might wonder, too. The answer's pretty simple, really. As war production ramped up, Fred’s skills made him more valuable on the home front than on the battlefield. Curtiss-Wright received major defense contracts for airplanes and airplane parts during World War II, and skilled workers were in high demand. The company would produce over 29,000 airplanes by the time the war ended. Fred Herrel’s specialty was installing airplane windshields. Production of new aircraft and parts at the Columbus facility was in high gear, but there was a big need for those who could repair damaged aircraft, too. For about six months during the war, he was transferred to a facility in Arizona, where he replaced windshields on planes that had already seen action. 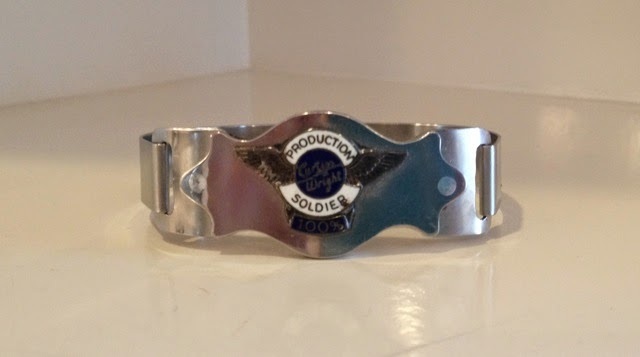 For his contributions to the war effort, Fred received a metal bracelet, which reads, “Production Soldier Curtiss Wright 100%.” It’s a small token of a different type of service than he might have expected back in his CMTC days. So much history packed into one small object. Fred continued to work for Curtiss-Wright’s successor at the Columbus plant, North American Aircraft/Rockwell International, until he retired. 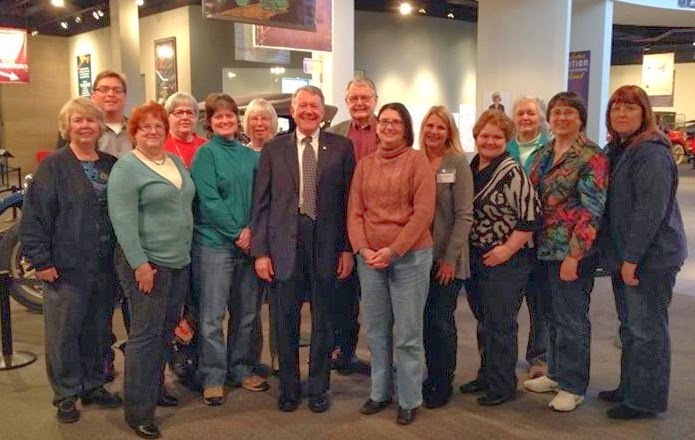 I wish now that I had asked him about those wartime days, and thanked him for the work he did, while I had the chance. Ohio Department of Health, birth certificate no. 63201 (1914), Frederick Calvin Herrel; Division of Vital Statistics, Columbus. 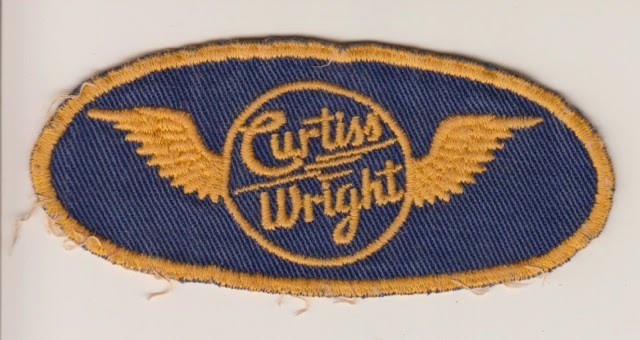 Curtiss-Wright Corporation, Company History (1939-1948) (http://www.curtisswright.com/company/history : accessed 8 April 2014). What clear evidence of the total war effort! I have never seen a photograph of one of the bracelets. Fascinating, Shelley! Thanks, Susan. I only recently saw the bracelet myself, and was so captivated by it that I felt I had to tell the story behind it. If only such things could talk! A very small world indeed, Amy. I wonder if they knew each other?